A chimney cap is a small covering on the crown of your chimney, but not every chimney has one. They are small and not difficult to install, so a chimney sweep company can do it for you easily. While some homeowners think a cap isn’t necessary, we believe one is essential and not something you should neglect. It’s an important part of your chimney that can keep it working much longer than it would without one. 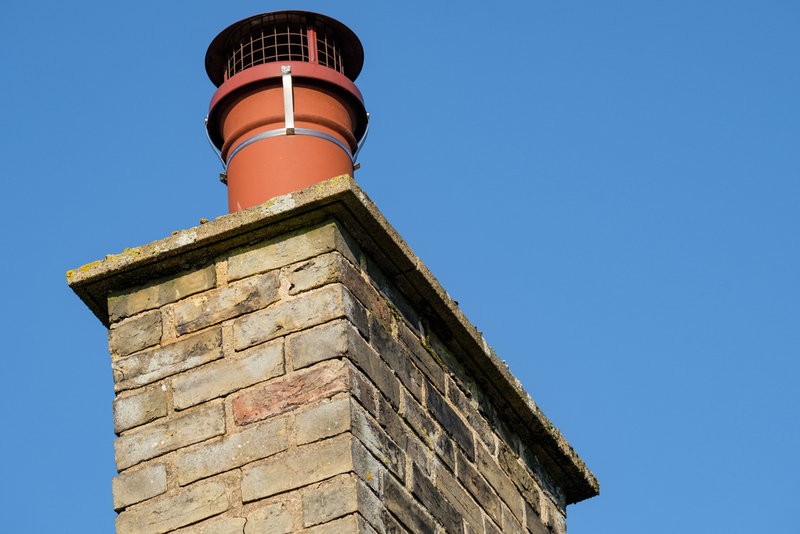 Without a chimney cap, you could be wasting money every time you get someone to clean it. When a chimney sweep cleans your chimney, they remove any dangerous substances that have built up like soot and creosote. After a professional cleaning, you probably expect your chimney to be safe for use for the rest of the year. However, without a cap to prevent water, debris and animals from making their way into your chimney, your chimney can become dirty and dangerous much sooner than you anticipated. Water that enters your chimney from melting snow or rain causes your chimney to deteriorate. When it mixes with soot and the exhaust coming from the fires you build, it also accelerates the buildup of creosote, which is highly flammable and the leading cause of chimney fires. Animals in your chimney can also damage it, and often leave behind substances that block your chimney’s airflow and can be flammable. A chimney cap not only keeps harmful substances out of your chimney but protects your roof. Embers from the fires you build can travel up your chimney and cause chimney fires, or spread to your roof and damage it. The addition of a cap on your chimney can stop these sparks from becoming fires and prevent them from hurting your roof. Lastly, a chimney cap can help with draft problems in your home. One reason some homeowners avoid installing a cap is that they are worried it will actually create draft problems. However, there are many special caps designed to help with that very problem rather than add to it. All Star Chimney Sweeps can advise you on which type of cap works with your chimney and which model will also keep the cold air out of your home. Thinking about adding a chimney cap to your chimney? Fill out our online appointment form to work with the best chimney sweep company in the southeastern region.